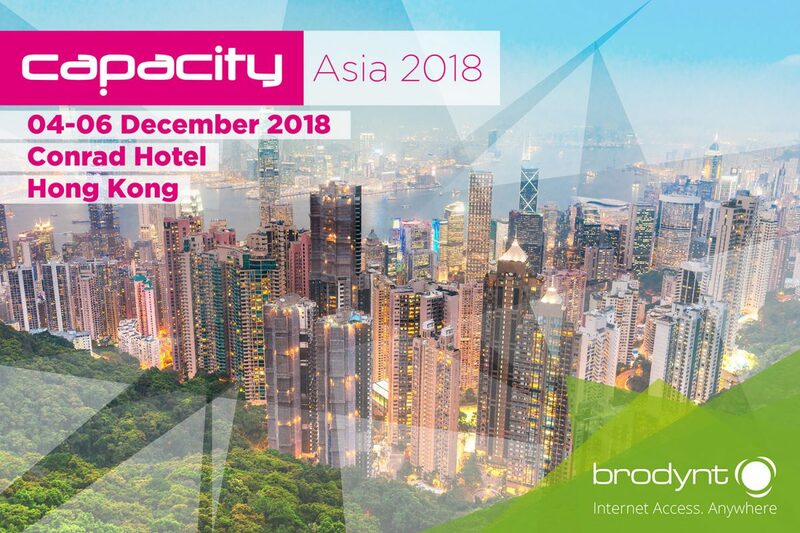 Brodynt will be attending Capacity Asia 2018 in Hong Kong from 4-6 December. Capacity Asia is the only regional annual meeting to bring together the Carrier Community with key business strategists from cloud and content service providers and data centres. Hong Kong, Asia Pacific’s booming telecoms hub, will unite 850+ regional wholesale, content and cloud experts looking to conduct bilateral meetings, renew trading agreements and build new business relationships. Our representatives Yeep Syarif, Asia Pacific Strategic Growth, Albert Bosch, Global Sales Director, and Jofre Bejar, Procurement Director will be in Hong Kong attending the event. This is an area that we aim to strengthen, and expand our position as one of the leading players in the wholesale market in the region. Contact us to arrange a meeting! Bringing together the leading international carriers, content and cloud providers, data centres and OTT leaders, Capacity Asia was honoured to welcome the biggest companies and influencers, changing the wholesale market and present the largest Capacity Asia to date in 2017. From next-gen services, opportunities in South-East Asia and network virtualization, Capacity Asia is becoming a crucial platform to discuss the most pressing trends in the evolving wholesale community. With an expected 850+ attendees from 300+ companies, Capacity Asia will allow cloud, content provider and data centres to meet with existing and potential network partners to discuss their Asia-Pacific and global connectivity needs, discover new network technologies and services which can optimise content delivery and communicate operating requirements to internationally recognized carriers, and discuss essential requirements such as reliability, QoS and network stability.